To place an order, simply browse our store and add as many products as required to your shopping cart. When you're finished, you may proceed to the checkout to complete your purchase. All prices shown are in Australian dollars and are inclusive of GST. PayPal is our preferred payment method and the most trusted method for online payments in the world. We also accept Visa, Mastercard and American Express. A product is generally available for immediate purchase if it can be added to your cart. A product listed as "Sold Out" will not be available for purchase as it must be ordered from the manufacturer first. This can take up to 4 weeks. Feel free to contact us via email if you would like an ETA on any "Sold Out" product. We're also happy to notify you as soon as it becomes available. Stock inventory levels displayed in our store are updated as frequently as possible but occasionally, particularly for products in high demand, these levels may not always be 100% accurate. In the event that an order is placed for an item which is not actually in stock, we will offer you the option, via email, to cancel the order and receive a full refund or, wait for the item to become available. Note: We currently accept orders from Australia only. For queries relating to orders outside of Australia, please contact us. Your order will be processed and ready for shipping within 1-3 business days (unless otherwise specified). All postage is via Australia Parcel Post and includes electronic tracking. We offer free shipping via Regular Parcel Post on orders over $200. For orders under this amount, a flat rate fee of $9.90 is charged. We also offer an Express Parcel Post option for a flat rate fee of $14.90. Orders shipped via Regular Parcel Post will usually arrive to most capital cities within 2-7 business days. For remote areas, this can take up to 14 business days. Orders shipped via Express Parcel Post will usually arrive to most capital cities within 1-2 business days. Note: Estimated delivery times are provided by Australia Post, not RKM Smart Home. We can never guarantee delivery by any particular date and under no circumstances do we provide a refund for late or lost parcels once your item has been sent by any shipping method. Depending on your order type, some products may need to be packaged and delivered separately. We try to avoid this but when it is necessary, we make every effort to ensure your items arrive as closely together as possible. To be eligible for a return, please submit a return authorisation request via our contact form. Please do not send your purchase back to us without our prior authorisation and please do not send your product back to the manufacturer. We cannot accept an item shipped back to us prior to an approved authorisation. Our return policy lasts 14 days from your invoice/receipt date. If 14 days have passed since your purchase, we can't offer you a refund. Any returned item must be unused and in the same condition that you received it. It must also be in its original packaging.​ A 15% restocking fee applies on all returns. Once a return has been authorised, you will be responsible for paying for your own shipping costs for returning your item. Shipping costs are non-refundable. If you receive a refund or exchange, you will incur the cost of return shipping. Depending on where you live, the time it may take for your exchanged product to reach you, may vary. If you are shipping an item over $200, you should consider using a trackable shipping service or purchasing shipping insurance. We don't guarantee that we will receive your returned item. Once your return is received and inspected, we will send you an email to notify you that we have received your returned item. We will also notify you of the approval or rejection of your refund. If you are approved, then your refund will be processed, and a credit will automatically be applied to your credit card or original method of payment, within a certain amount of days. Note: All refunds apply to the cost of the physical item(s) returned only and exclude all shipping costs incurred as a part of the original order. Please choose your items carefully before placing an order as we only replace items if they are defective or damaged and within our warranty period (see below).  RKM Smart Home will replace items if they are defective or damaged for a period of 12 months from your invoice/receipt date unless otherwise specified. All mains voltage connected products must be installed by a certified electrician otherwise warranty will be void. An electrical compliance certificate must be provided to show that the product was installed by a certified electrician and in accordance with the manufacturer's instructions. If the item is found, through our own inspection, to have been misused, taken apart, or installed by a non-certified electrician, warranty will be void. In the event of a genuine manufacturer defect, we will replace the item with an identical new one, and send it to you free of charge.